Anyone who’s studied the different areas of Liverpool to any extent – for its geography or its history – can’t fail to recognise the distinctiveness of each part of the city. As different as a Roman gallery is to a History of Science gallery, so Toxteth has its terraces and its Victorian parks, West Derby has Croxteth Hall, Queens Drive and suburbia, Allerton its impressive large houses and the Calderstones, and Everton Rupert’s Tower. 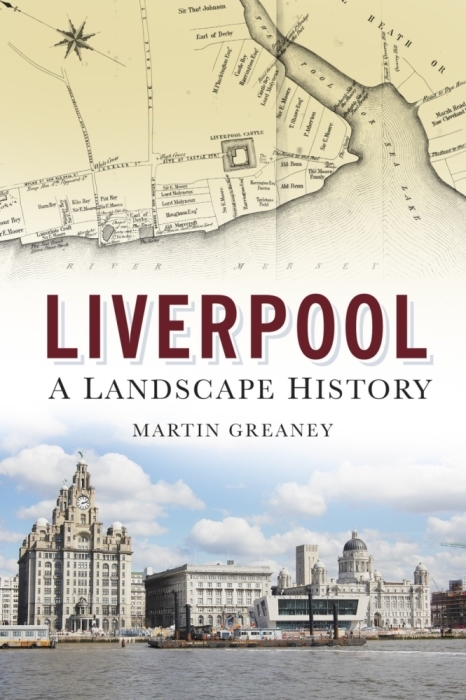 To walk across the whole city (should you have the energy) is to take in all aspects of Merseyside history, from its prehistoric origins, through its political development to its cultural successes. As with all museums of great age, Liverpool has its dusty containers of life gone by. Its preserved relics too delicate to handle directly, artefacts at risk in the race to the modern, interactive, disposable age. The museum, and the city, are not just for the locals. Millions flock to Liverpool each year to sample the culture, history, sport and music, or pass through as travellers on their way somewhere else. What do these people see, feel and experience when they visit the city-as-museum? The museum can only give them a glimpse of the full story, and so too the city itself can only show a side of Liverpool through the eyes of the visitor. It depends what they’re here for, and is coloured (for good or ill) by their preconceptions and experiences. When they walk/fly/drive through the doors of the city-as-museum, will they head straight for the Beatles Experience gallery, the Liverpool One gallery or the Cathedrals gallery? These are the natives of the museum. They see much more than the visitors (though how much of the total might even surprise them). They know the shortcuts, the closed-off rooms, the main attractions and the hidden history. When creating the galleries (through living in the city), they will be taking a selection of the whole and putting it on display for the consumption of the customer. They will try to show off the best of their corner of the museum, and show just how much they know of the great city. Not everyone who arrives here will get to meet one, but those who do will get a great deal more out of their visit than those who do not. It’s easy to feel like you know the whole of Liverpool. You can wander the streets for years, compete on its playing fields, drink in its bars, play in its parks and worship in its churches for every year of your life. But for every Scouse artefact you see, thousands are hidden from view. Just as Merseyside’s museums have vast stores which the public never get to see, so the city has its secrets, its behind-the-scenes. There are the underground tunnels of Merseyrail and the river tunnels. There are rooms behind net curtains, and there are air conditioning systems and prison cells and private vistas that only a few see. The museum is a living, evolving part of the community, and similarly it has long been realised that the city is not a fossil, a finished piece. A museum has to adapt to changing tastes, and must update itself to include new histories and interpretations. So a city must continually reinvent itself to move with the times. A city (and a museum) is always trying to do this. Sometimes this is a popular success and sometimes not. Either way, neither museum nor city can stay still. These days a visitor is not just a visitor. They’re a consumer of history, and a participant. Liverpool the city is heavily defined by those who come to see it, as well as those who end up staying longer. So whether it’s the World Museum’s hands-on events, or the city’s incomers shaping its very landscape and history, the city-as-museum is not merely built by the people who are already here, but a mixture of newer and more established contributions. 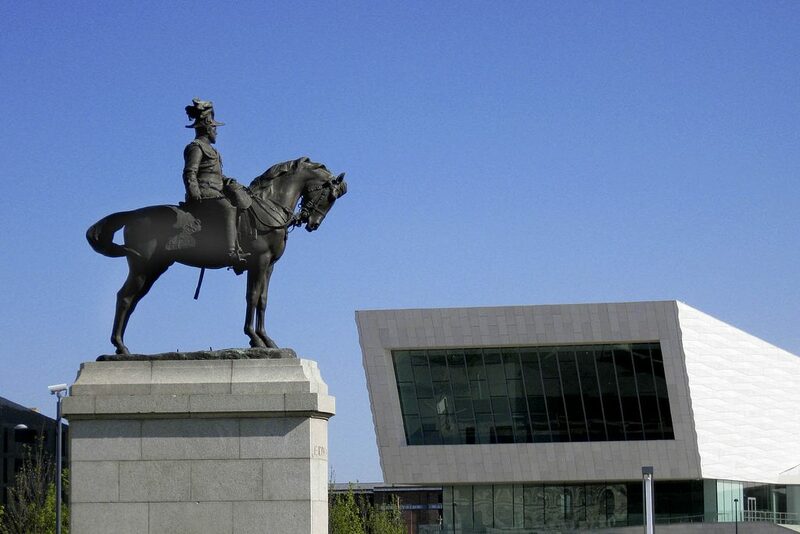 Liverpool is a city in the 21st century, but it is – and will continue to be – shaped by its past. The streets tell the story of its origins; it’s people the ways of its present. Its galleries are full of the accumulated debris of 8000 years of use. As viewers of its exhibits, consumers of its presentation and participants in its events, if we keep an eye open on our ramblings around its edifice we will be rewarded with a greater appreciation of the things left by our predecessors in these corridors of life. And when we’ve explored all that the exhibitions and exhibitionists have to show us, there’s just time left for a browse in the bookshop followed by a big slice of cake in the café. Ben Johnson’s famous Cityscape painting will be on display in the new Museum of Liverpool. 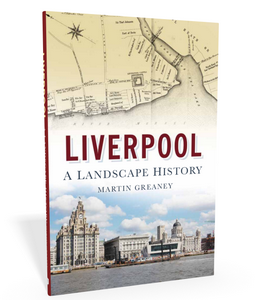 The painting is a painstaking illustration of Liverpool – a bird’s eye view from above the River Mersey, and is available in paperback from Amazon. Click on the cover on the left to order.